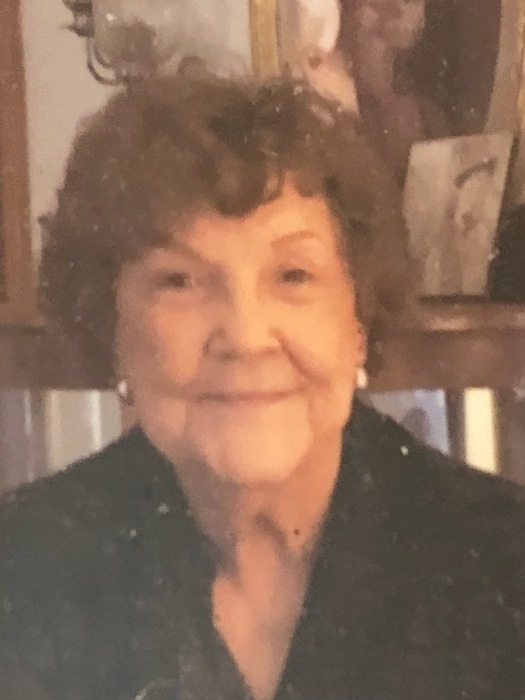 Obituary for Mary Louise (McIntosh) Johnson | Richards Funeral Home Inc.
We are mourning the recent loss of an extraordinary woman. Mary Louise McIntosh Johnson died at her home in Lilbourn on Monday, October 8, 2018. Mary was born September 28, 1938, at Catron, MO, to Wesley Ervin “Bud” and Myrtle Louise McIntosh. She lived most of her life in New Madrid County, in and around Catron, Parma, and Lilbourn. She attended Lilbourn High School and was an active alumnus. Beginning in 1969, Mary worked in various roles for Kaiser Engineering and then Noranda Aluminum until her retirement from Noranda in 1996. All who knew her knew Mary to be a truly kind, caring, and giving person. She accomplished a great deal and touched the lives of many people through her many volunteer efforts. Mary was a founding member and President of the Lilbourn Veterans of Foreign Wars Ladies Auxiliary and was active in the Regional VFW Ladies Auxiliary organization. She also devoted her time and attention to the needs of ailing children in the Bootheel area through the Make a Wish Foundation and the Kenny Rogers Cerebral Palsy Center. The Sikeston-Bootheel Humane Society and many other civic and governmental groups and agencies also knew Mary as a willing volunteer and supporter through the years. Mary was preceded in death by her parents, Bud and Myrtle, and by husband Robert Lee, brothers Ray McIntosh, Kenneth McIntosh, Wesley Ervin “Mac” McIntosh, Leon Herrin, Anthony “Tony” McIntosh, and granddaughter Mary Katherine Reece. She is survived by her loving husband Kenny Johnson, her sister and brother-in-law Stella and Dean Buck of Dexter, sister Martha Miller of Parma, and sons and daughters-in-law Steve and Charlene Reece of Parma and Dr. Scott and Cindy Reece of Ringgold, GA., step-son and daughter-in-law Col. Michael and Monique Johnson of Pensacola, FL, step-daughter and son-in-law Lisa Dawn and Raymond Felton of New Madrid. Also surviving are her 9 grandchildren Shannon and Karen Cook of Dexter, Scottie and Morgyn Reece of Ringgold, GA, Mathew and Michelle Reece of Fort Oglethorpe, GA, Amanda and Matt Prince of LaFayette, GA, Joseph “Joey” Reece of Orange, CA, Toby, Gabe and Jordan Johnson of Pensacola, FL, and Cecelia Johnson of Sikeston and 13 great-grandchildren Reale, Malia, and Isabella “Bella” Cook; Gaige, Christian, Logan, Hunter, and Eastyn Reece; Kaylee and Noah Reece; Alexis “Lexi” Underwood and Liam Prince; and Dixie Johnson. Mary will also be missed by her many beloved nieces and nephews, cousins, and friends.